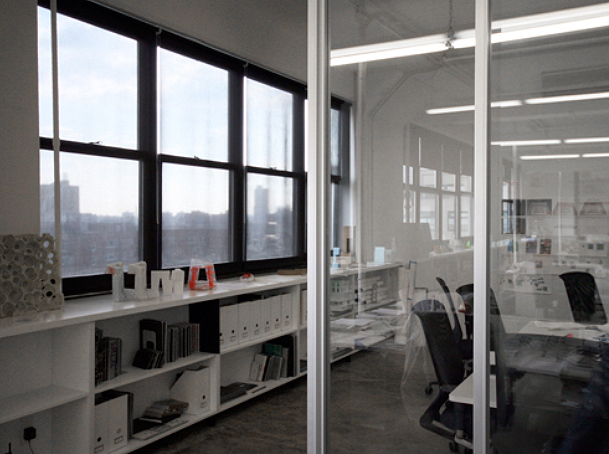 The main Feature of this office is the 100 foot long wall which divides the common work tables from the architectural model shop, kitchen, storage and reception areas. 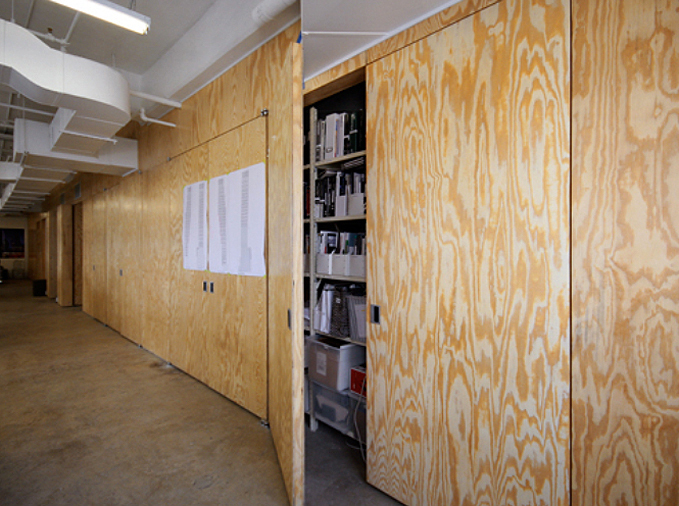 Douglas Fir Plywood covers the walls with a concealed fastening system, and the doors are custom laminated plywood on foam to maintain rigidity while limiting weight. Two conference rooms are separated by large aluminum and glass sliding panels. This renovation combined the clients existing office with the neighboring space, and we worked with them to coordinate a multi-phased construction schedule so their busy staff was able to continue normal operations throughout.